What is Transcoding? When should I use it? Note: You do not need Transcoding in order to stream to Restream. 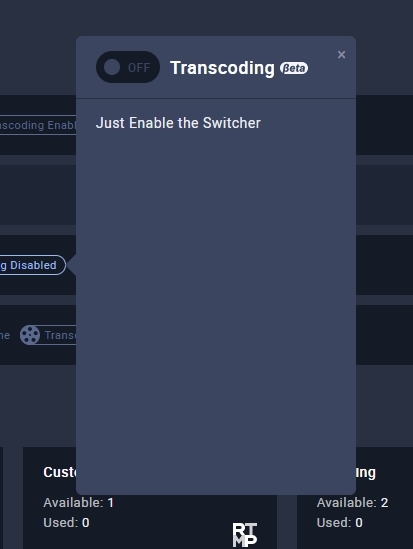 Transcoding is a Restream feature that allows you to downgrade the quality of specific connected channels/platforms, without affecting the rest of your streams. This can be useful for using with platforms like Periscope, which have low bitrate caps. 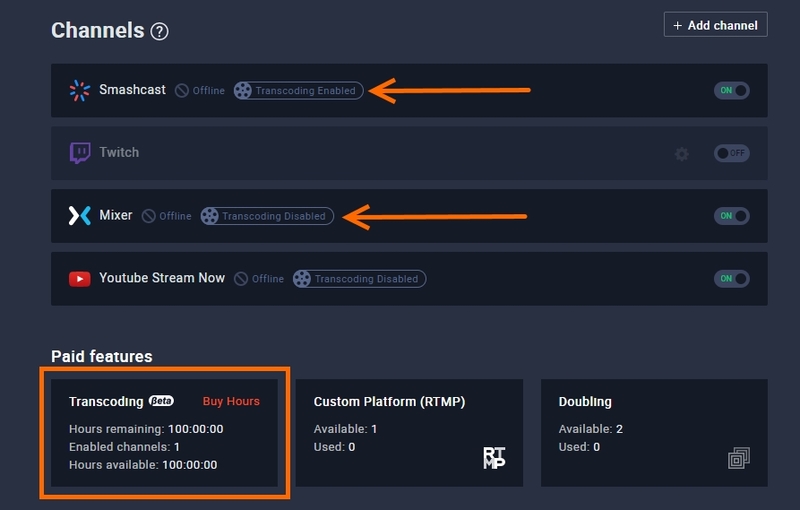 So Transcoding will allow you to have a real high-quality stream for platforms that allow and still be able to stream to the platforms which have lower requirements and your stream will not be denied by their systems. 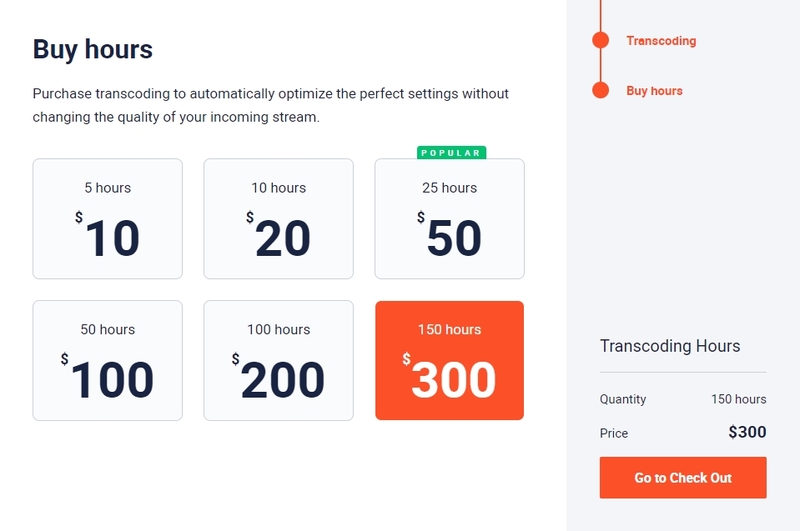 Why does Transcoding need to be purchased by the hour? Transcoding is a very server intensive and expensive process. 2. Click on the "Transcoding" status icon to apply it and activate on any of the channels. Tip: By clicking on already enabled you can disable it or change the settings. 4. Hit "Save" to apply the changes. And when you start the stream your enabled channels will be transcoded to fit the end platform. Tip: Make sure to stream in the bitrate and quality you wish all non-transcode channels to receive! Do not enter a higher bitrate than you are streaming into the Transcoding options! How are Transcoding Hours shared between channels? How much delay is added by using Transcoding? So far during our tests, we see an average of 2-3 seconds added when using transcoding. This isn't affected by how many channels are using it. Does the Pro plan include Transcoding? No. It is a different feature.